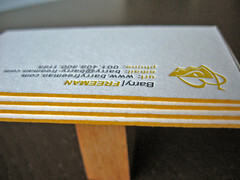 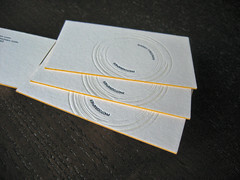 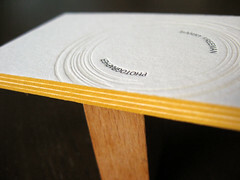 Ecru white duplexed business cards with yellow edge coloring. 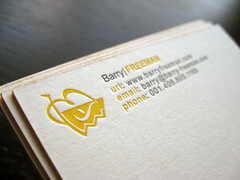 Barry Freeman (portfolio) is a California based photographer whose business cards we’re featuring on the blog today. 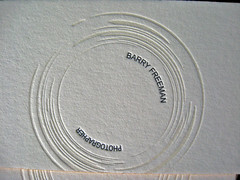 As a photographer barry wanted to reference what he does in the design in an abstract way. 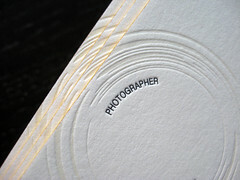 While the original cards were designed on black stock, we worked with him to change the design and make it work on white stock. 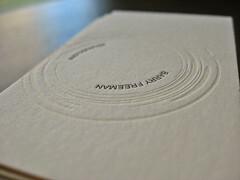 See more photos after the break. 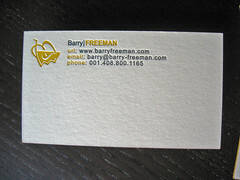 Some quick 3D photos above of Barry’s cards (Front on top / Back on bottom). 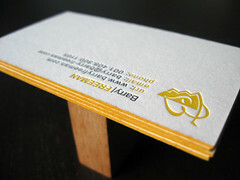 We printed the cards on 110lb Ecru White Lettra, which was the perfect match to the yellow ink color Barry wanted to use. 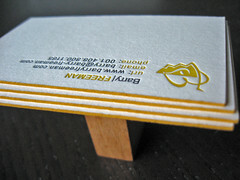 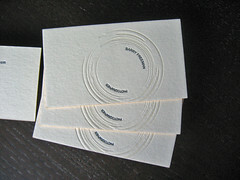 As with most double sided cards, we letterpress printed each side on 110lb stock separately. 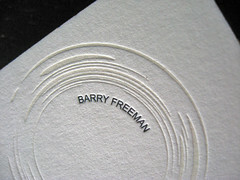 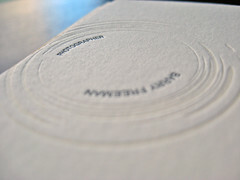 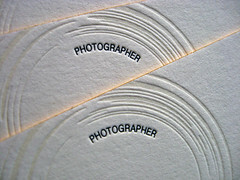 The front of the card is an abstract representation of a lens printed with transparent white ink with “Barry Freeman” and “Photographer” inscribed on the inside in black ink. 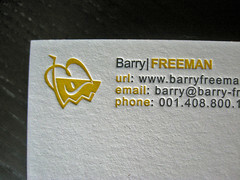 The back of the card had Barry’s information and his logo in black and yellow ink. 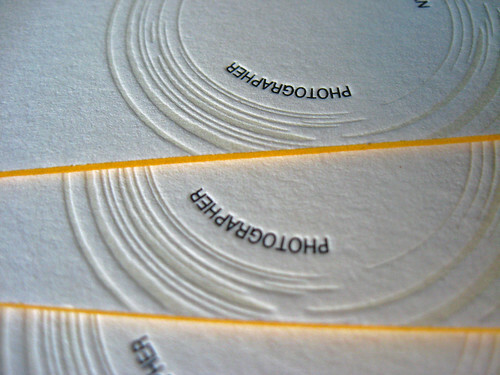 Once the printing was done, we duplexed the sheets and edge colored the cards in yellow to match the yellow ink. 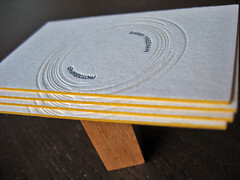 The yellow edges is perfect at highlighting the ecru colored stock. 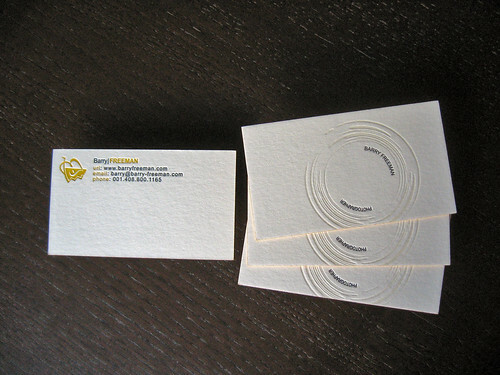 If you’re working on a business card and want to know how to incorporate edge coloring, email us (contact@dolcepress.com) for more information and pricing.